Didn't like the Drag centercaps that the wheels came with so looked around for Honda centercaps to fit these the DR-34's. Found a couple topics about making your own and that's what I did. Here are some pictures. Knockout plugs can be found at local hardware stores. I bought mines from Home Depot. They are in the electrical section of the store. They come in 1/2" to 2" in 1/2" increments. The ones I got are 2" ones and they are $1.20 each. Most people would probably need 1 1/2" or 2". Measure first. Once you get them you will need to straighten the tabs on the back and bend them out a little. You can do all the tabs or for me I just did 4 on opposite sides. 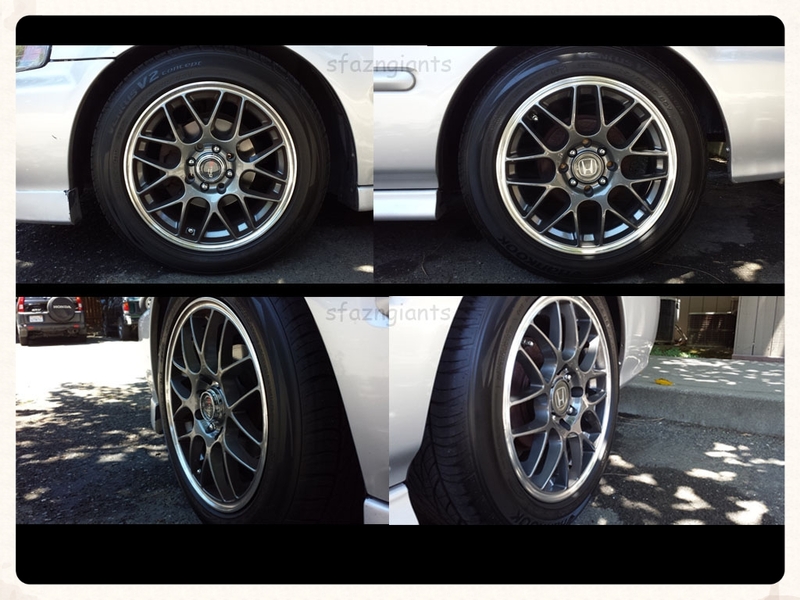 If you want them to match your wheels or want them in another color go ahead and paint them. I used Duplicolor primer, Engine enamel color paint, and wheel clear coat by Duplicolor. If you sand them after the primer stage, I was able to get rid of the "2"" imprint on the caps. For this set i didn't do them and they are noticeable unless you are looking at them up close. Wait for it to dry for couple days and you can apply your decals. I bought the Honda decals on ebay for about $5 for a set of 4. For me I bought a set in black, silver, and red. I wanted the black ones but ruined the set because the caps weren't dry yet and lifted the paint. It's important for the paint to completely dry before applying the decals otherwise the paint will be ruined and you'll have to start all over like I did. Once you are done, time to put them on. Again use the pliers to bend the tabs to get them to fit in snug. I had to use some 3M double sided tape on the tabs for them to not move at all. That is all. Let me know if you have questions. 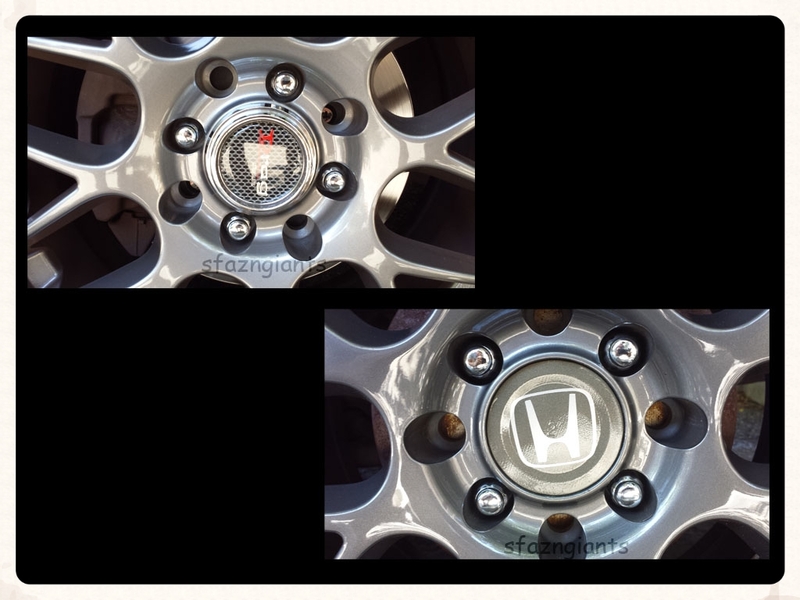 Total Spent: $5 on the knockout plugs, $5.99 on the decal, $15 on paint. Also have extra paint to do more if you want. Enjoy!